Srinagar Two persons were killed after a vehicle they were travelling in came under a landslide at Piykul Kara in Doda district of Jammu and Kashmir on Friday late night. 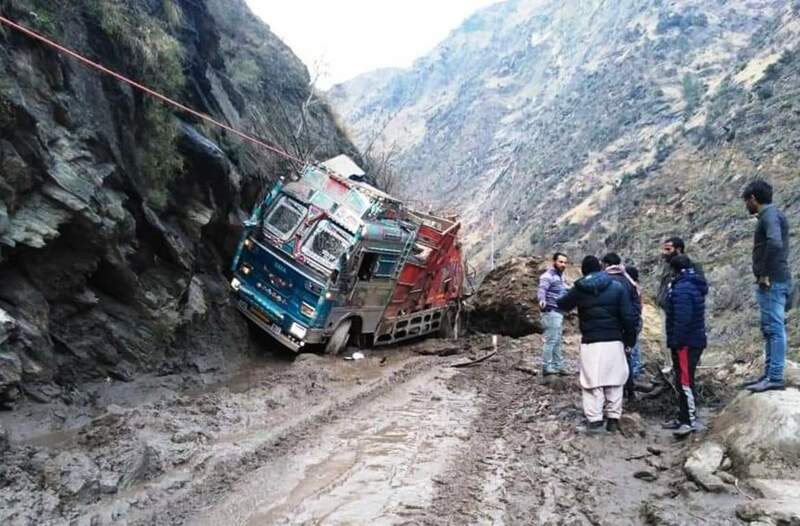 Reports said that vehcile (Truck) bearing registration number JK02CA-5185 was hit by the landslide on Thatri Kilotran road near Piyakul in Doda district, when the vehicle was on its way from Thathri to Gandoh. The incident resulted in death of two persons identified as Shahzad Hussain of Chiralla and Arif Hussain, a resident of Kishtwar. Soon after the incident, the bodies of the duo were recovered from the spot and shifted to Primary Health Center (PHC) Thathri for further formalities.